Hopefully I figured it out how to make this play. Caught a fun one on the GMM2 the other day. Deforest, that hydroshort looks very good under your feet based on the pictures you're posting. Seems like a keeper. Dam JKB! Those are some clean turns! That first bottom turn into that turn is insane! Check out this little turn I got on the Hydroshort yesterday. For reference, I'm pretty sure deforest surfed the same general area I did yesterday as I saw him pull up before I paddled out. coming in to throw that bucket is noteworthy. It was pretty crappy. I got lucky on this wave. it�s definitely a keeper. Took a little adjusting from the Cymatic but it�s sick!! was tuesday now that i think of it; really small. same two dudes out the back were out there. yes. Same two dudes on long boards were at the same spot Tuesday and Wednesday. This wave was a left I picked off one of those guys. He went right and I took the left. Loving the Hydroshort. It has a wider tail and feels shorter, like the wide point is center. The squash felt like the wide point was forward. Both awesome boards, but the pintail turns on a dime if you get on the tail. Love that tail. Kind of like a wider Omni tail. I had an Omni and the tail was amazing (tight arcs and hold) but I have big feet so overall it was too narrow. HS could be worth looking into. BTW is yours a HS standard or wide? Sorry Zee � I think my Hydroshort is a wide version. 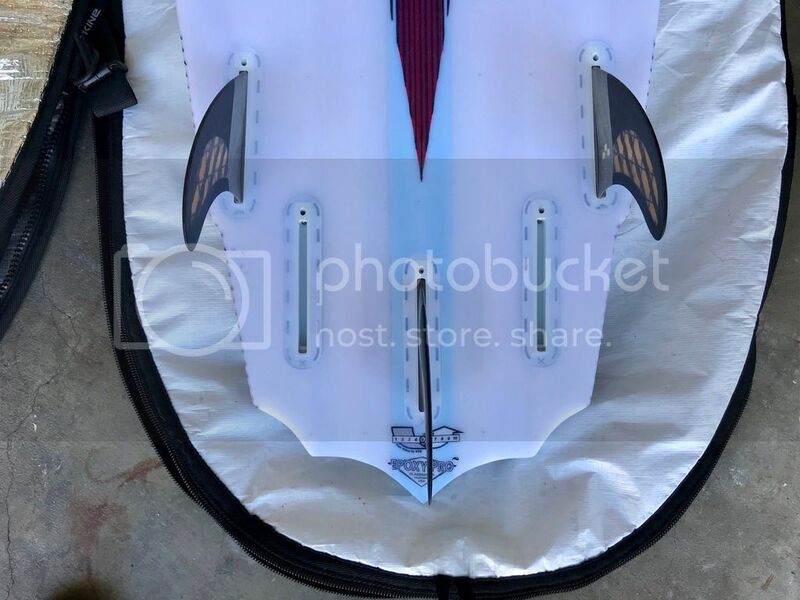 Hey JKB (or anyone that has ridden an El-Tomo), what are your thoughts on the El-Tomo as a quad instead of just a dual fin? I remember we discussed the dual fin not really providing enough fin to push from on a bottom turn. You think adding rear trailer fins would help? Question: Isn't the El Tomo a twin & wide version of a V4, made for more grovelly (is this a real word?) waves? I saw that XTR was offering El Tomo's with a quad set-up as well. I think I'd probably like it better that way but I'm not really a quad guy either, unless it's barreling. This is my understanding. The El Tomo definitely has a lower entry rocker than the V4 and the outline obviously has some adjustments to it, but I still didn't like it in smaller, grovelly conditions. It definitely likes some push and I felt it worked best in chest high waves and up. I was intrigued by the El Tomo when it was released, but everything I read/heard made it sound like not a very versatile design and as you describe... only really for certain days at certain spots. And I have other boards I can ride for those conditions. So I resisted the urge. I get the impression that it was perhaps meant to be one of those FirewireJapan-only limited releases, but maybe it was too niche for even that. I'm still waiting to hear some feedback on an OB1 and how close it surfs to a Cymatic. Yeah, I remember you saying how you like that center fin to push off of. I love quads so I was curious as to your thoughts! I think it�s a faster setup than a thruster and is a little more loose (although thrusters can loosen up a board as well but in a different way). I thought making the El Tomo as a quad was a great idea. It actually makes me want to revisit that board now. I had your teal el Tomo at the harbor on a mushy day with the Akila Aipa fins and it went incredibly well. It felt really fast and pivoty on flat faced waves. But if you wanted to do a really sharp turn you had to use a lot of rail or the board would slide out. I think a quad set up might solve that problem. OB1 is my next board for sure!!! Maybe a couple months and I�ll have some feedback on that one! I personally think it�s the Vader reborn with channels and a new nose!! I dig Tomo�s shortboards a lot. Freaking love them, myself. I recently got a Psyko, which is the double wing pin tail version of a V4. 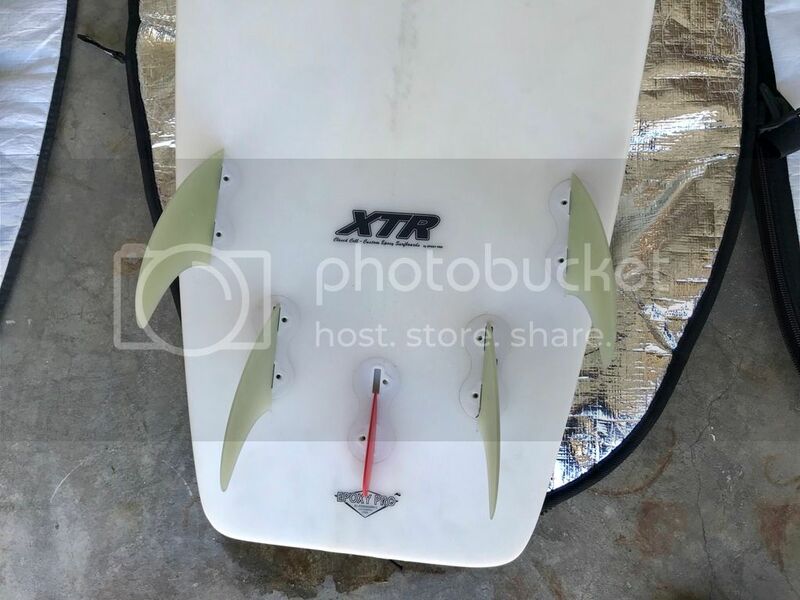 Rocker, foil, fin set-up? All the same. Just a different tail. So here�s what I�ve found when comparing my V-4 to my Psyko, and for sh!ts & giggles also comparing those to my Cybersim. Mind you, this is just my experience. Your mileage will probably differ, I�m just giving you my 2 cents. The V-4 has the split twin tip style swallow. It holds much better down the line, and allows you to draw out your carves more. 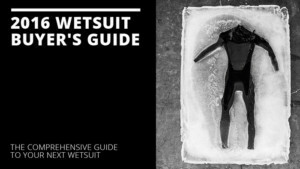 This means it turns �slower� than the Psyko with that triple wing pin (think long carve versus short slash], so it has a tendency to maintain speed OUT of the turn. 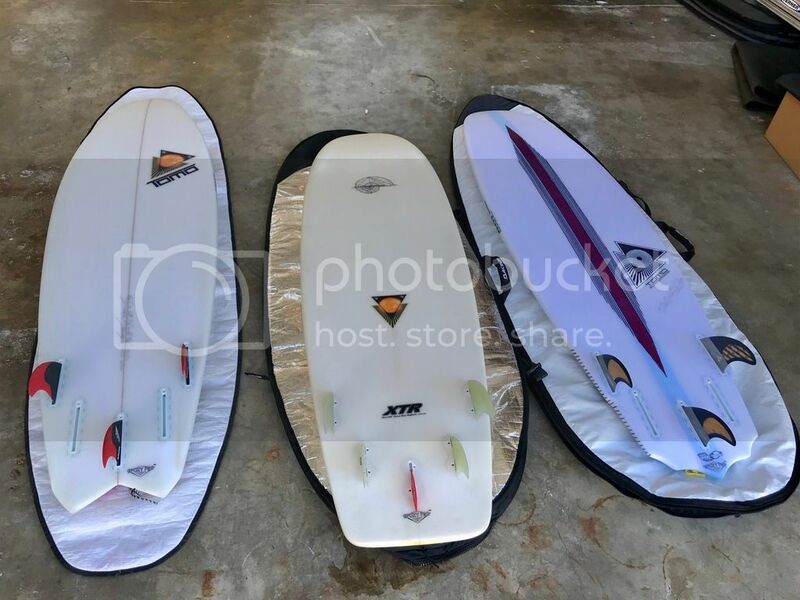 This makes the Psyko a much better board for beach breaks and top to bottom grinding waves, whereas the V-4 excel at point breaks and down the line spots. I live in Santa Barbara, the land of point breaks and down the line spots. The V-4 has a more forgiving feel that I dig. 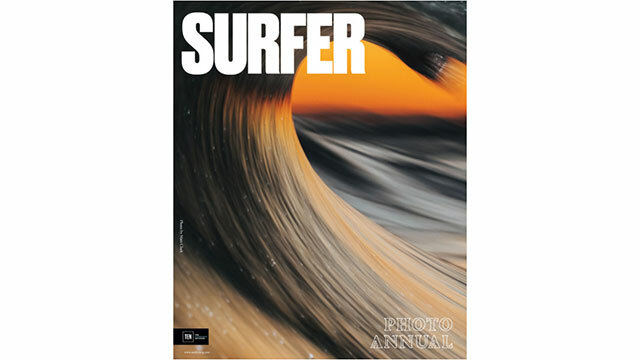 For this old man, it�s better at closing out waves (floaters, airs, lip hits) because of the wider platform. It just works for me. 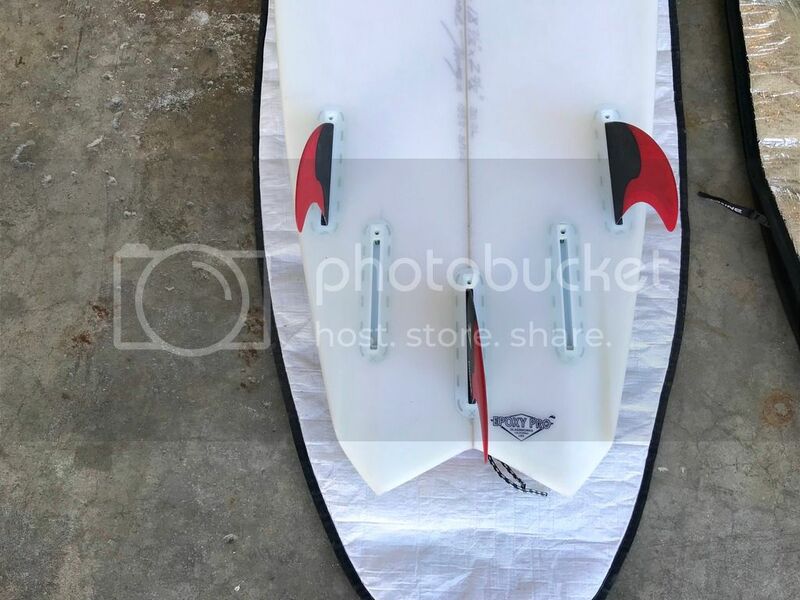 The Pysko is f-ing fast and quick, incredible for barrels, but I�ve turned out of some waves because it�s such a short/abrupt turning radius for what I�m expecting. I've also sunk the tail numerous times on closing maneuvers. #leadfoot I�ve used the Psyko 3x now, so it�s not like i�ve got scads of experience on the Psyko versus the V-4 design I�ve used for years. It has been great at the Pit which is a beach break and at an unnamed barreling spot, but it's totally different than my V4; this admittedly surprised me given how similar the two are. The Cybersim has a wide fat squash. No channels. It�s fast as lightening but with a more relaxed rocker so not as good at late drops or rounder waves. Soft waves? It�s like cheating. I love it beyond words. Any kind of soft wave? Unless it�s so pathetic only a log will work, I�m on the Cybersim. 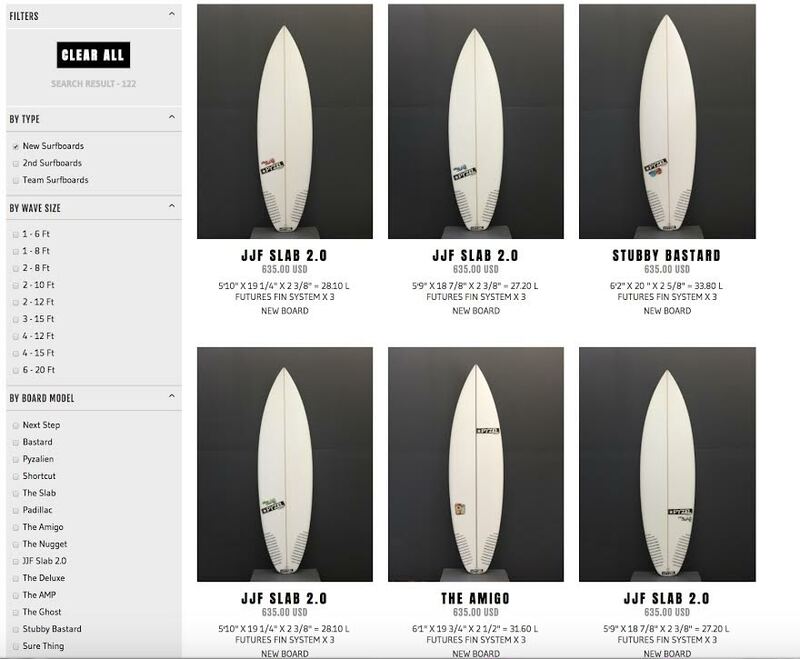 All my boards are 19� wide. The V-4 step up pictured is 30 liters (have a new V-4 round nose coming and CANNOT WAIT FOR IT! ), the Psyko is 29 liters, and the Cybersim is 30.5 liters. 1. V-4: Get it for point breaks and down the line waves. Good at barrels & late drops, better at long drawn out carves. 2. Psyko: Get it for beach breaks and rifling fast down the line waves. GREAT at barrels and late drops, better at quick & short radius slashes/lip hits. 3. Cybersim: Get it for everything else under head high. just out of curiosity, what sort of shapes were you riding before you went Tomo? do you ever get back on more standard shapes? Last edited by SharkBoy; 02/17/19 10:39 PM.